Planning a bus trip? 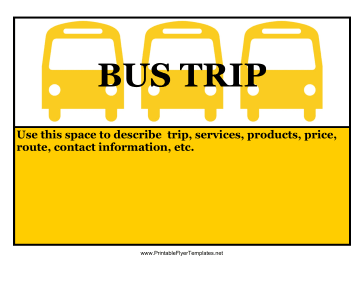 This bus trip flyer is bright yellow, just like the classic school bus, and includes a background of buses. You can describe the trip in the large yellow space provided. Even on a crowded bulletin board, this bus trip flyer is sure to stand out.